Have you ever seen a film that made you go to sleep? No, I’m not talking about the Lord of the Rings! 2001: A Space Odyssey surpasses that film in that category as the scenes are even more stretched out and the film runs for around the same amount of time. With less plot than a Saturday Morning Cartoon; A main character that makes Alex Hopper look like Tom Cruise; and an ending that would make Inception viewers cringe….we have this film! I hope that you’ve prepared yourself accordingly because watching this film is basically like throwing hours of your life out the window. What is the plot? The film never figured that out so it’s barely worth mentioning. 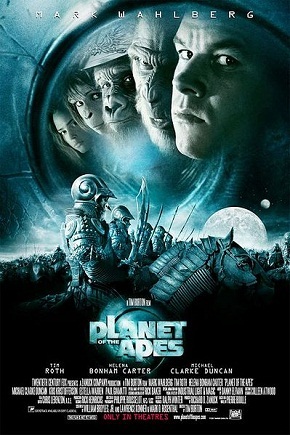 The first plot is about animal violence and how we descended from Apes. The Apes learned to destroy each other until they managed to become as brutal as the modern humans. After that, we go to David Bowman as he goes to the board meeting. It’s a big conspiracy between the members as they can’t let the press find out what they’re about to do. This journey will be dangerous after all so they convince everyone that there is a plague on board. David takes Frank and Hal 9000 as they head off into the great unknown. However, nothing is as it seems and the humans eventually start to distrust Hal 9000. Obviously, there is only room for one type of being so now they will have to fight. Man vs Machine! It’s like watching a bad sci-fi film that doesn’t know if it wants to be a thriller, a political film, or a thematic sensation. As a result, the story telling is very convoluted and nothing makes sense. The writing makes the Amazing Spider Man 2 look amazing and it makes the Lord of The Rings appear to be a thrill a minute in comparison. It’s no shock to say that I’m giving this film a single star and it would be hard to say where that star came from. (Or not, Hal 9000 was pretty epic after all) Let’s quickly talk about the characters since there really aren’t many to talk about. David Bowman is the main lead of the film, but it won’t matter all that much by the end since he has no real personality to speak of. He’s pretty careful around the news reporters, which is good and he doesn’t really gossip. He’s pretty much a no nonsense character and he seems to be pretty reasonable. Did he get a little too drastic in his plan to get Hal 9000? That’s something we’ll discuss later on. Overall, I would actually say that Bowman was a decently good main character. He was very bland and he didn’t have much of a personality, but that also meant that he didn’t really have time to make many mistakes. I can’t say that he fell into any character holes. He’s a perfectly acceptable main character. Frank Poole is his friend/co worker. You could say that he’s a more aggressive version of David Bowman. Bowman never really voices his opinion about Hal 9000 being dangerous until Frank suggests that they take him out. Bowman was hinting at it, but he was very indecisive and he seemed to want Frank’s agreement before even suggesting it. Frank isn’t subtle like that and everything he does is direct. Because of this, Frank ends up being more likable than David and he’s the best human character in the film. Going outside when the ship is a suspect may be a little….optimistic at best, but every character makes a big error at some point right? Frank Poole was definitely a good character. Hal 9000 is the big villain of the film. He’s famous and everyone knows about Hal 9000. Despite this, Hal 9000 isn’t actually a very big player. His screen time is a lot shorter than I would have thought. Despite this, Hal 9000 is still as sinister as I had pictured. You really can’t get past his sarcastic voice. “Hello Dave” “I can’t do that Dave” are some of his lines and Hal 9000 never lets up. He has nothing but contempt for humanity and it really shows. I can definitely see why he was remembered since he was one of the only really good things about the film. Right down to the end, Hal 9000’s voice will give you the chills and his end is probably where the film should have ended. Unfortunately, the film did not end! After that, we just get a lot of scenes that don’t really have any relevance to them. There are a lot of meta readings that you can take from the scenes, but you can also just go to sleep and let the film end on its own. The problem with trying to have a lot of symbolic interpretations is that there is no correct answer. Once you put out a vague ending, the viewer can name any ending that they please and it won’t really be wrong. Thus, there really isn’t a point anymore. The film had no point and that’s one of the saddest parts. We never really begin to like the main characters so there isn’t a sense of relief at the end. The whole film is really dragged out. The first 5-8 minutes of the film are pure darkness and we even have an intermission with more darkness. The final 15-20 minutes just consist of random oceans and other locations where we can appreciate the view. If I wanted a good view, then I’d pop in my Homer Price dvd and check out the realistic donuts! The main character eventually goes insane and that basically represents the audience by this point. I think it’s safe to say that you’ll lose interest before the halfway mark of the film anyway, but this would throw you off if you were still on board. Even eating a sandwich can take a while in this film as they slowly go for the food and they take forever to finish it. Don’t worry, they silently jog afterwards to burn off the calories. Another example of how the film is dragged out is the conversation with the media. “I’m not at liberty to discuss this” is something that the main character says when they try to get information out of him. What’s his next line? The same exact thing! The writers were just grasping at straws at that point as they just wanted to drag out the dialogue as much as possible. The characters make sure to cough and take deep breaths so that they can stop themselves from replying for a little longer. The camera also has a little lag to it so the scenes end up staying on the screen for longer than necessary. Not that we could expect anything less from this film! Okay, we’ve established that the film is boring right? I could keep on mentioning this fact and give more examples, but I think you get the point. Still, that can’t be enough to give it a 1 right? Even the Lord of the Rings scored higher than that! Well, one big hole that the film charged into was the classic case of animal violence. Yes, there is animal violence in a space film that is about man vs machines. Why is animal violence present? Because the film forgot what it was about! The first half hour or so is about a group of monkeys massacring each other. That’s it….there’s no plot, no point, and no fun. It’s just about the animals hurting each other and maturing into humans. It’s essentially a silent film at this stage and it makes the silent scenes of the Arthur tv show look profound and relevant. By this point in the film, I already had a sneaking suspicion that the film could not score above a three. Little did I know that it would never rise up from this error. The end of the film is all about being trippy and we have a lot of inverted colors and random events that occur. You keep waiting for something to happen and it never does so you’re left with an empty feeling. This is why you shouldn’t make a film very crazy looking just so that you can try to win some awards and get recognition for being unique. Using the tried and true formula of the Mario Bros film would be much better. 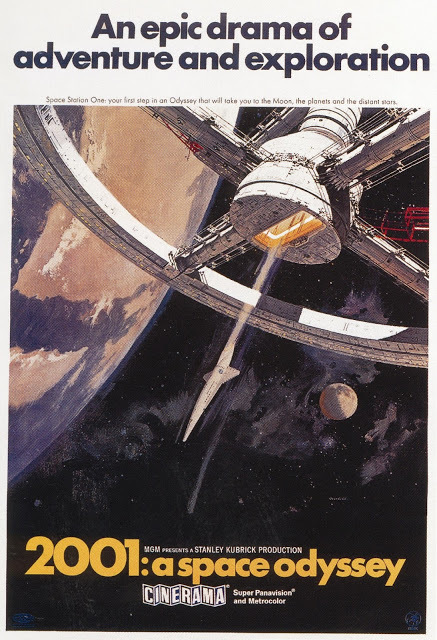 Overall, 2001: A Space Odyssey is a lot worse than you may have guessed from the cover. There isn’t much of a plot and the events that could have taken 30-40 minutes end up stretching to around 3 hours. The director really wanted this film to be long so he used every artificial technique that he could think of to keep the film going. Because of this, over a third of the film consists of pointless aerial shots or stills of the characters thinking. The intro with the animals is also pointless and the ending doesn’t add anything to the film. The only part with any meat to it was the battle against Hal and that was all too brief. Stay away from this film and all of its animal violence. You would have more fun watching paint dry or taking a nap. The only slight positive would be the main characters, but that’s really not enough to save such a long film. This film may be known as a classic, but I’ll just know it as the film that was more tedious than Lord of the Rings. Watch the latest Star Trek film if you want a good spaceship film.